Sanitation in ancient Rome was a complex system similar in many ways to modern sanitation systems. During the Dark Ages, the technical knowledge of the Roman system was lost and has subsequently been investigated by modern-era historians and archeologists. A system of eleven Roman aqueducts provided the inhabitants of Rome with water of varying quality, the best being reserved for potable supplies. Poorer-quality water was used in public baths and in latrines. Latrine systems have been found in many places, such as Housesteads, a Roman fort on Hadrian's Wall, in Pompeii, Herculaneum, and elsewhere that flushed waste away with a stream of water. It is commonly believed the Romans used sea sponges on a stick & dipped in vinegar after defecation, but the practice is only attested to once. The system in Rome was copied in all provincial towns and cities of the Roman Empire, and even down to villas that could afford the plumbing. Roman citizens came to expect high standards of hygiene, and the army was also well provided with latrines and bath houses, or thermae. 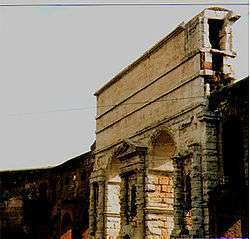 Aqueducts were used everywhere in the empire not just to supply drinking water for private houses but to supply other needs such as irrigation, public fountains, and thermae. 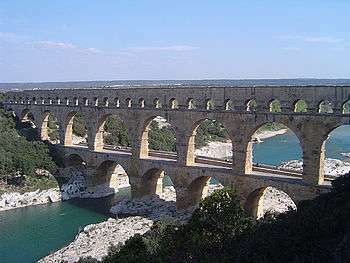 Indeed, many of the provincial aqueducts survive in working order to the present day, although modernized and updated. Of the eleven ancient aqueducts serving Rome, eight of them entered Rome close to each other on the Esquiline Hill. Also, the first aqueduct was the Aqua Appia built in 312 BC by the censor Appius. Other aqueducts of importance to Roman sanitation was the Aqua Marcia built between 144-140 BC, which provided large amounts of quality water to Rome. One Aqueduct with some major importance to Rome was Traiana, which tapped from the clear springs of the northern and western slopes above lake Bracciano. It is said that the “Romans fully appreciated the importance of plentiful and wholesome supply of water, for domestic purposes to health of the Community. It was stated by Amulree that for 441 years after the building of Rome, it depended on water from the Tiber for drinking and other domestic purposes, but in 312 BC Appius Claudius Crassus provide Rome with water from the Springs of the Alban hills and brought to consumers by the mean of Aqueducts. The Amulree notes state that this practice is in line with the teachings of Hippocrates: that stagnant water should be refused, not the spring water from the hills or rain water. ↑ Farnsworth 1940, p. 942. ↑ Gowers 1995, p. 27. 1 2 Aicher 1995, p. 34. 1 2 Aicher 1995, p. 36. 1 2 3 Amulree 1973, p. 244.